Hello guys!! Yijing has just gave me a web to help me with basic HTML blogger codes. Although it didnt help me solve my fitting of picture to the screen resolutions (LOL)... I think this website would be a very great help for those who are new to blogger and are customizing your own skin! They have very clear and straight forward codes with explanations for it below! 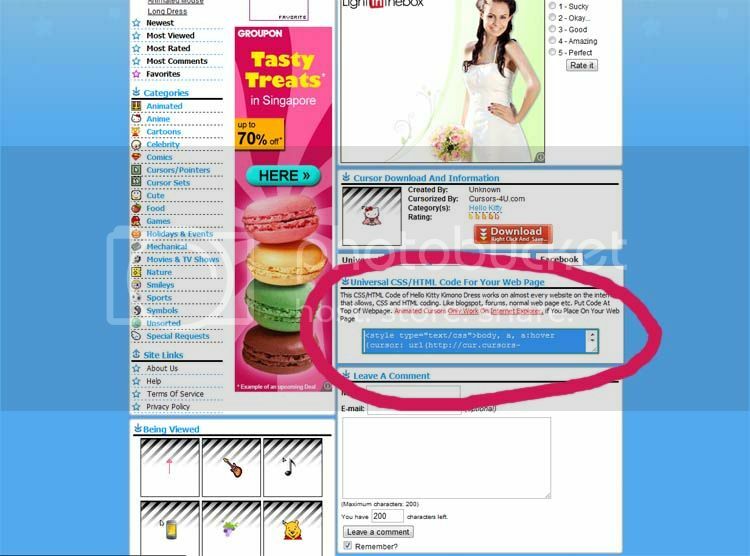 This was a screenshot of the website when yijing forwarded me to ask me look at the background codes. hahaha. Here's the url! 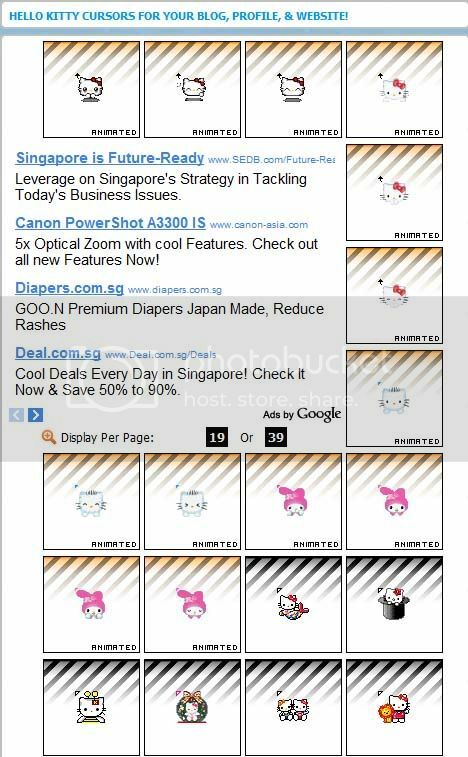 my cursor is a freaking cute Hello Kitty!! Because I know there's lots of Hello Kitty Fans out there I'll also share the information LOL. there's various types and themes of cursor available!! Just browse through them and choose! And when you have selected your cursor, you will be directed to this page!! 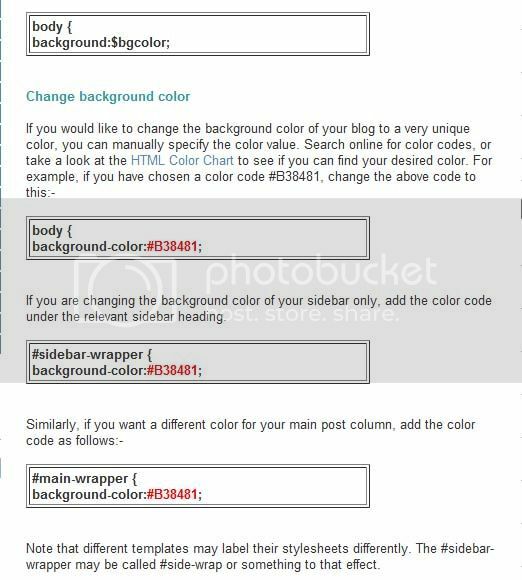 Just paste the whole code into the top of your blogger template and VOILA!!! you're done! I added my code after my blog title part in the template! If you should have problems, you could also refer to http://tinyurl.com/4mfb6rv! I learnt it from there! ;)) Wish you all good luck with making your blogskin pretty!